Agonizing over a Father's Day present goes against the most important lesson Dad ever taught you: don't agonize over presents. 1. You can order, customize the label, and ship him a bottle online, allowing you to make him blissfully happy while staying as lazy as he always said you were 2. Much like your father's, Johnnie Walker's legacy dates back over 100 years 3. One notable critic called it "The Everest of Deluxe Whiskies" -- assuming you've not climbed that particular mountain, this is a can't-miss 2nd option for making Dad proud 4. Its complexity derives from powerful West Coast malts all the way to subtle East Coast flavors, making your own LA/Colorado/NYC adventures seem more purposeful, and less floundering 5. It is difficult to bond with your father over a glass of cufflinks. Not impossible, but difficult. 6. Your mom's turned him into a rosé drinker. Time to bring him back. 7. He'll be so grateful, he'll finally let you beat him in golf/basketball/charades 8. He already has a silver picture frame; you're not in it, because you never bought him a bottle of Johnnie Walker. 9. You've finally forgiven him for not buying you a pony, or a dragon. 10. You finished off his last bottle. For shame. 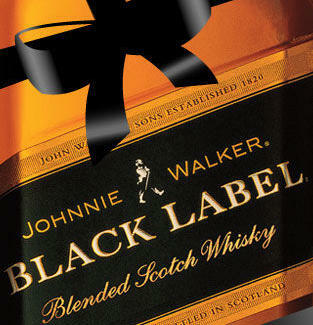 To order/customize/ship your dad's bottle at JohnnieWalker.com, just draw upon the one lesson you ever taught your dad: how to use the Internet.